For the second edition of Blood & Treasure, I had a few goals in mind: 1) Better layout. 2) Incorporate errata and edit like crazy. 3) A little more gonzo, a little less standardized. 4) Streamline anything you can streamline. That brings me to disease. The rules I used before were relatively easy, but I wasn’t really satisfied with them. I hit on this point in a post a while back, and developed a disease system that I published in NOD 28 that focuses on symptoms rather than on named diseases. For Blood & Treasure, I decided to use a simplified version of this. While somewhat random, it takes into account the monster or dungeon level delivering the disease, and hopefully sets up a race against time aspect that will add to rather than diminish the drama of an adventure. When a character is injured by a contaminated attack, touches an item smeared with diseased matter or consumes disease-tainted food or drink, he must make an immediate Fortitude save. If he succeeds, his immune system fights off the disease and he suffers no ill effect. 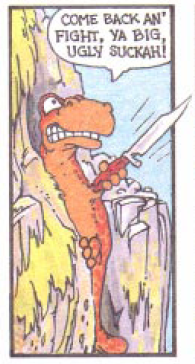 If he fails the saving throw, the TK rolls 1d6 and adds the Hit Dice of the monster that infected him, or the level of the dungeon on which he was infected. Consult the table below. The infected creature will suffer all of the effects on the table up to the number rolled. The effects start at the times indicated on the table. For example, a character who is both fatigued and sickened with feel the effects of fatigue in one round, and the effects of being sickened in 1 turn. Each day, the creature can attempt a new Fortitude save against the disease. If the roll is a failure, he continues suffering the ill effects as indicated on the table. If he succeeds, those ill effects are reduced by one level. When the character suffers no further ill effects, the disease has run its course. While the character is diseased, they do not benefit from natural healing, although magical healing works on them. A cure disease spell will, of course, completely eradicate the disease, ending all ill effects. Of course, once “cure disease” shows up, it just doesn’t matter, which is why the system is short. This brings up the other part of the game I might streamline. I say might, because I haven’t made the change yet. Saving throws in the game currently use three categories – Fortitude, Reflex and Will. As categories, they make sense and players can generally figure out what save they should be making when a situation comes up. A post over at Delta’s D&D Hotspot got me thinking of another way that is more “gamist”, but which I think might be an improvement. Delta was showing how the OD&D fighter’s saving throws went in an order from easiest to hardest, with the easiest saves being the one’s against the most dire circumstances. I like this idea. Why should it be easiest to save vs. petrification? Because failing that save means your character is dead, unless you have a high enough level magic-user who can turn you back. It treats saving throws more as “get out of jail free” cards than as simulating something real. I know this will bug the heck out of some folks, but I like it. It keeps the game a game. 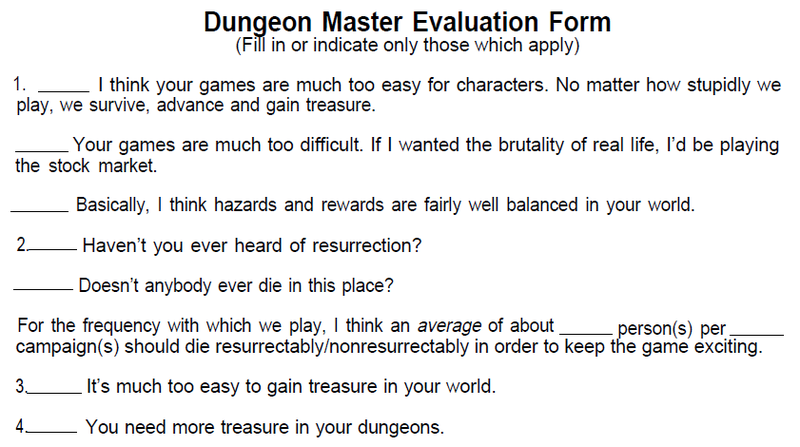 This got me thinking about using a single saving throw number for each level – so only one number on the sheet, which fits into streamlining – with a blanket +3 bonus against instant effects that are (almost) unalterable – things that really screw up your precious character like instant death, polymorph, paralysis, petrification and the like. The classes would then have their own little +1 to save vs. something – fighters vs. dragon breath, spellcasters vs. spells – that sort of thing. If I’m honest … it also saves lots of room in the books and makes monsters a bit easier to run. Again, I haven’t made this change yet, but I think I’m going to. I’m like 90% certain I’m going to. 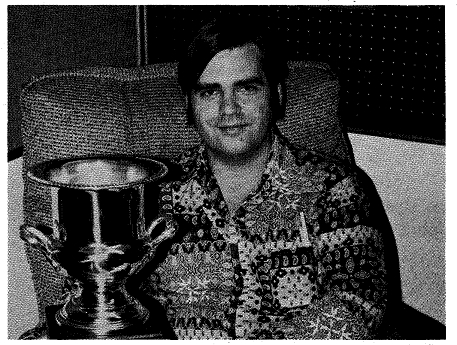 Circa 1984, I was in 6th grade and discovering role playing games – well, Dungeons & Dragons. I’d played a game with a friend who only knew the game based on watching his older brother play. He drew up a dungeon on graph paper, and during recess he ran me through it using a D6. The next step was me getting Moldvay Basic from Toys ‘R’ Us, then Cook Expert, then into the AD&D line (dude – rangers are cool). Now, I want to bring the younger readers back into these primitive times. Photocopiers existed, but they weren’t cheap. I convinced my mom to spend a decent chunk of change letting me check out copies of Dragon magazine from the library, take them to Kinkos, and copying articles at $.25 a page. Eventually she found it cheaper to get me a subscription for Christmas. Before I got to that lofty place, though, the way I copied stuff was with a typewriter. I remember borrowing module B1 – In Search of the Unknown – from a friend and typing it page by page – double column (which involved actually making a few spaces and then writing the line of text in the next column) and then tracing the pictures. Hey – it worked – got B1 for free (wish I still had that copy I typed). Around that time, I decided to write my own game. To say it was heavily influenced by D&D rules would be an understatement, of course, but I was smart enough to know that if the game was to be original, I needed to spin things a bit. Thus, the thief became the saboteur. I don’t remember much about the old saboteur (again, wish I still had those typewritten pages somewhere), but today I got to thinking about that old game, and those old times, and figured I’d make a new saboteur class for Blood & Treasure. Saboteurs must have a dexterity score of 9 or higher and an intelligence score of 12 or higher. They can wear up to leather armor and cannot use shields. 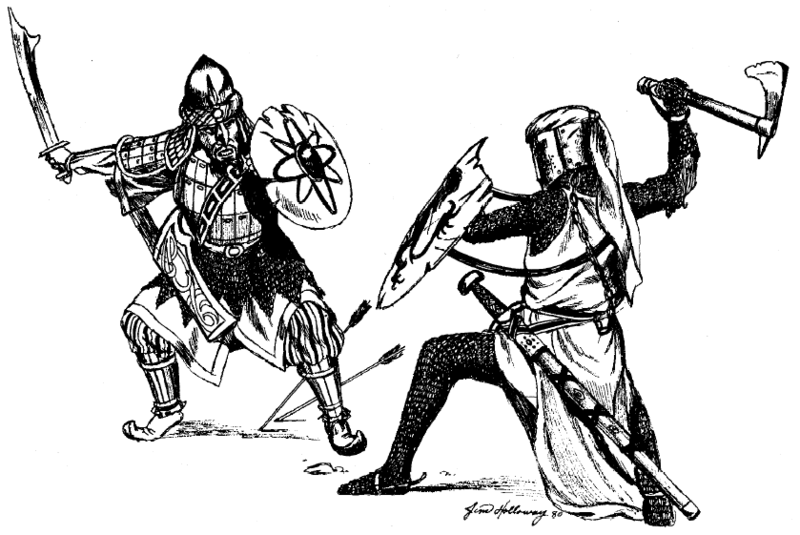 Saboteurs can use daggers, flails, clubs, maces, morningstars, crossbows and firearms. Saboteurs are skilled at the following tasks: Climb walls, hide in shadows, move silently, open locks, remove traps, use and disable mechanical devices, use magic items (after 8th level) and operate siege engines. For many of these tasks, they require a set of sabotage tools. Saboteurs are capable of concocting explosives. At 1st level, they can concoct black powder explosives that deal 1d6 points of damage per pound. They can attach fuses that take from 1 round to 1 minute to detonate. One pound of powder requires 1 day and 10 gp for the saboteur to create. When a 3rd level saboteur strikes a foe that is wearing armor, he can forgo dealing damage and instead lower their effective Armor Class by 1 per 3 saboteur levels. The effective AC of the armor remains lowered after the combat until it is repaired by an armorer. At 6th level, the saboteur can spend an extra day and an extra 25 gp (so 2 days, 35 gp) to make a more refined and powerful explosive that deals 1d10 points of damage per pound. Saboteurs always deal double damage with their weapons and explosives against constructs and mechanical devices. This includes magical constructs. A 6th level saboteur can damage golems even without magic weapons, though he does not deal double damage against them. Moreover, when he successfully strikes a golem by rolling a natural ’20’, the golem loses its magic immunity for 1 round. 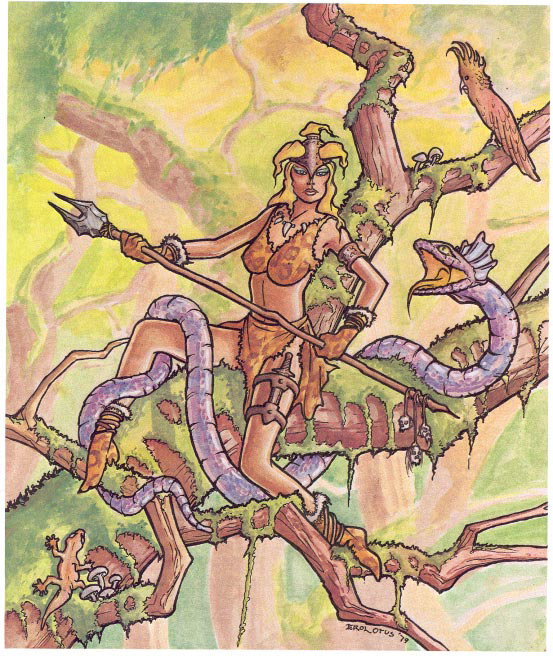 9th level saboteurs can damage magic items to the extent that they lose their powers for up to 1 day per the saboteur’s intelligence bonus (if she has an intelligence bonus). 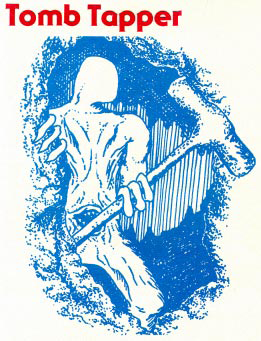 The saboteur must be able to handle the item, and must employ lodestones, lead wire and a silver hammer to temporarily cancel the magic item’s properties. * Takes a 10% share of the saboteur’s experience points. 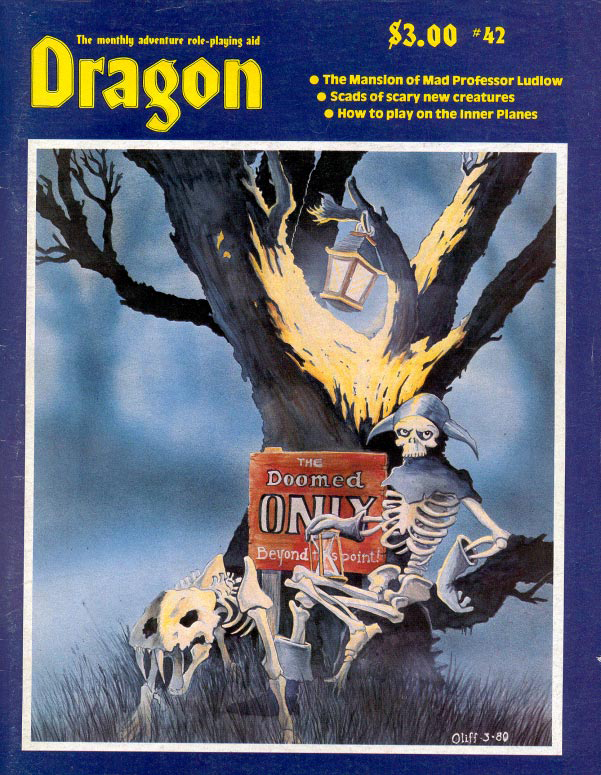 While the world is embracing Spring outside (at least here in Las Vegas), Dragon by Dragon is getting into Fall, with the cover to the October 1980 issue warning “the doomed only beyond this point”. 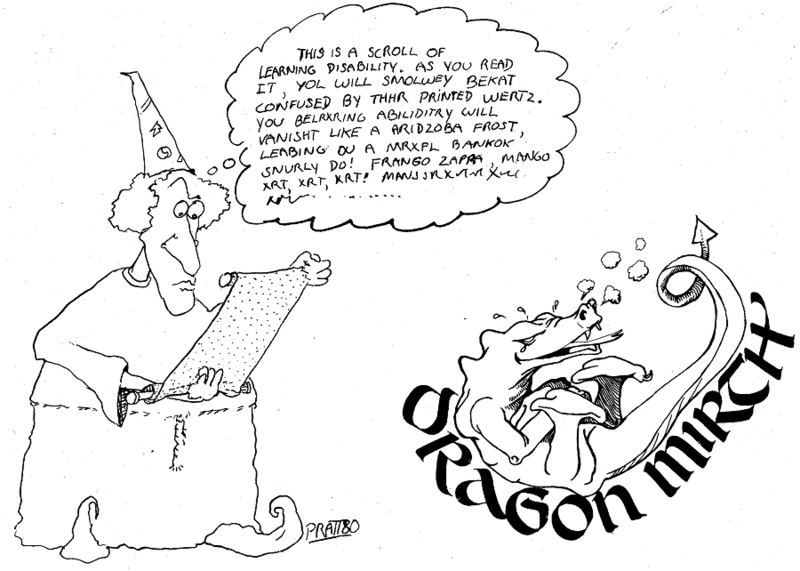 Let us throw caution to the wind, and dare to plumb the depths of issue #41 of Dragon. 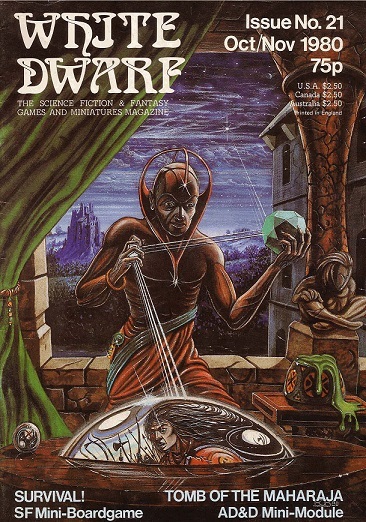 For a start, the cover is by Steve Oliff, and is his first for the magazine. Steve is nothing to sneeze at – he has his own Wikipedia entry! Check out his official site if you have a mind to. Todd Lockwood also has a piece inside – I’m looking forward to it. So there you have it. Mr. X (I won’t reprint his name) has spoken. I’d like to point out that there’s also no real need for idiots in the world, but what would be the point. First and foremost, we have a selection of new monsters by Tom Moldvay, including Saraphs from the Elemental Plane of Fire, the Apollyon (servants of Death), the Asperim, who are “super-imps” meant to exasperate players and the Hacamuli (one of the messengers of Orcus). Apollyon: Large Outsider, HD 15, AC 16 [+1], MV 30′, Fly 60′, ATK 2 claws (1d6) and bite (1d8 + Poison IV), Very intelligent, Neutral alignment; Special-Death ray eyes (1d100 damage), wounds from claws will not heal except by magic and bleed for 1d4 damage per round until healed, bite poison can only be neutralized by cleric. Ashleigh Parker presents some more new monsters, born in the depths of Hell – the Possessors. Their prince is Selm, and there are three types – Kuei, Pisachas and Asuras. These are incorporeal monsters who are used to possess mortals. They would make highly interesting monsters in a campaign of court intrigue – multiple people possessed by different possessors, all serving Hell unwittingly. Just when the players think they’ve gotten to the bottom of it, they realize they’ve only uncovered one layer of the plot. Lewis Pulsipher chimes in with “Patron Demons”. 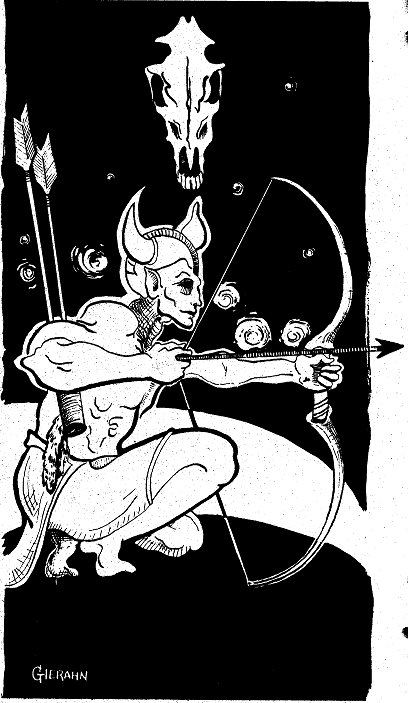 This is a neat article, with rules for Chaotic Evil characters making pacts with demon princes. By making sacrifices, he or she can call on the demon prince, who will either show up himself, sent a lesser demon, or send a monster to fight with the caller. You could use this article as the basis for some Chaos Cult wars – the players busting chaos cults, who are sacrificing innocents and then can call on demon princes to help them conquer a kingdom or who knows what. “A thief, however, may attempt to steal from the dead. 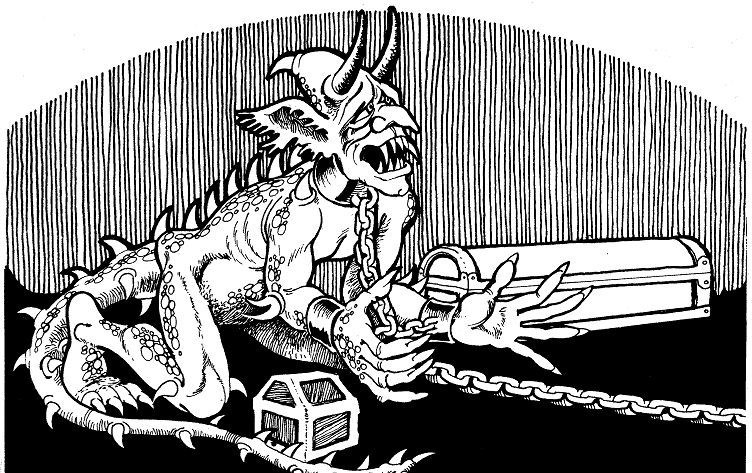 The Dungeon Master should judge the success and the possible repercussions of the attempt on the type and amount of grave goods taken, precautions-magical and otherwise-taken by the thief, methods used and other significant variables. The article goes on to describe hauntings by various undead NPC’s who the characters were too cheap to bury properly. The Old Man, throwing some shade. Quite often, I’ve found that I had to hold back because I was a bit better at tactics than my players, and could make minor encounters pretty threatening just by using some common sense. You have to gauge your players – if they’re good, go all in. If they’re not, killing 20 characters a session won’t do anyone much good, so slow down and hope they catch up. 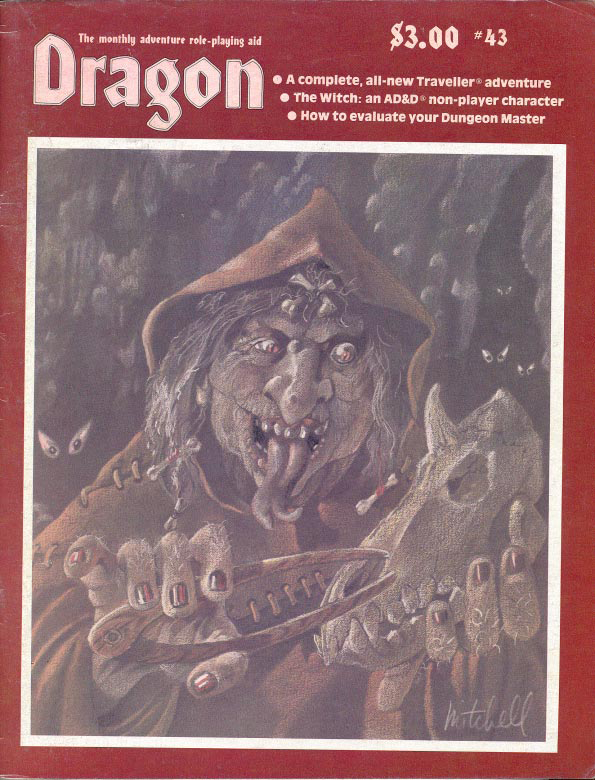 The Gygax article also features a couple new spells, Crystalbrittle and Energy Drain. I haven’t mentioned G. Arthur Rahman‘s “Minarian Legends” articles for a few issues, but they’re always very impressive and well worth reading for folks working on creating interesting, engaging, deep campaign worlds. You could probably simplify by saying 5% chance per following condition met: Monsters chaotic, monsters evil, monster’s hungry, party outnumbered (by 2 to 1 or more), party looks rich, party looks weak. That gives a max 30% chance of unintelligent monsters being hostile. If the monsters are intelligent, you can allow alignment differences to play a role. I’m of a divided mind on these articles. My instinct would be to let the inner plane be an exotic place with some rules lite ways to make it distinct from the Material Plane. On the other hand, if a group of adventurers has advanced from 1st level to the point where they can enter the elemental planes, maybe you should take some major pains to make it more than just the material plane with some fancy window dressing. 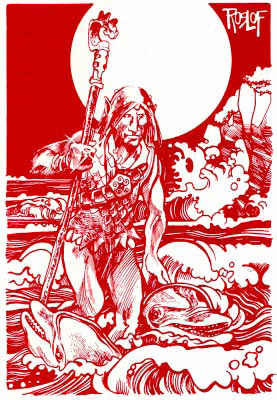 Poul Anderson’s Tauno Kraken’s-Bane (8th level half-elf ranger) from The Merman’s Children – a reminder I need to read more Anderson. Robert Adams’ Sir Geros Lahvohettos (9th level fighter) from Revenge of the Horseclans – a series I’ve heard of, but never read. Gordon R Dickson’s James Eckert/Gorbash (0 level teaching assistant/10 HD dragon) from The Dragon and the George – which is sitting on my side table waiting for me to finish The Three Musketeers. 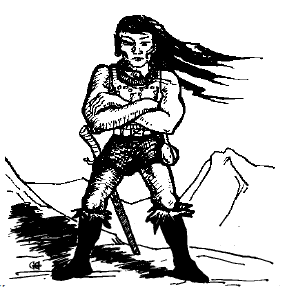 TSR would do well to cobble all of the stats Moldvay did for Norse heroes and legends and put them out as a mini-Legends and Lore. Quatsch, Small Monster: HD 1; AC 15; MV 40′; ATK bite (1d4); AL CN; XP 100 (CL 2); Special-Voice causes confusion. Greg Holley introduces the super-intelligent elemental Well Spirit and Jon Mattson brings the Sandbats and Swampbats – giant flying manta rays dudes. Awesome. This one begs to be played on Halloween – could be a good Google+ live session. 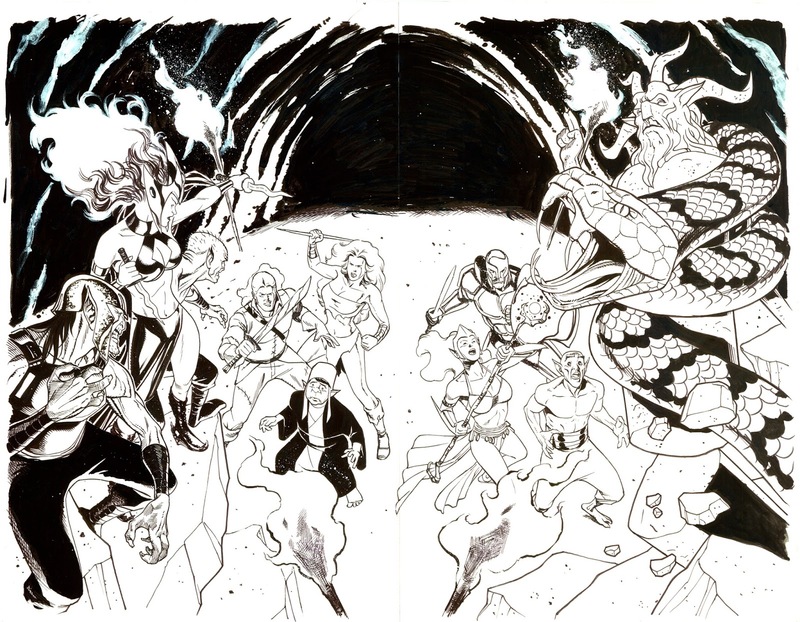 And how about that Willingham art? As always, I leave you with Tramp’s Wormy. Have a productive week citizens, and if you can’t be Lawful, at least try to be Good. From now until the game is released, I’m going to do some weekly posts on how the 2nd edition of Blood & Treasure is shaping up. Blood & Treasure was designed to be rules lite and options heavy, and that isn’t changing in the new edition. My goal is to take nothing out of the game, but to, wherever possible, correct old mistakes and streamline old rules to make them easier to understand and play. That brings us to subject #1 – Skills. Or tasks, as I prefer to call them. I thought the old system was pretty easy – to whit – if a character is unskilled at a task, roll 1d20, beat 18 and succeed. If a character has a knack (such as an elf searching for secret doors), roll 1d20, beat 15 and succeed. If a character is skilled, roll a saving throw to avoid failure at the task. That way, the skilled – such as thieves climbing walls – get better at tasks as they advance. Apparently, though, it caused some confusion for people, specifically the saving throw idea. So, how do we adjust? To perform tasks outside of combat, one need only tell the Treasure Keeper (TK) what they wish to accomplish. If the TK thinks the task can be accomplished without much difficulty, he merely tells the player they were successful. If success is in doubt, either because of the degree of difficulty of the task, or conditions that would make success unlikely, the TK can require a task check. To make a task check, the player rolls 1d20 and adds to this roll the relevant ability score modifier (see table below) and any bonuses they might have for their race, class or other circumstances. If the roll is 18 or higher, the task check is a success. 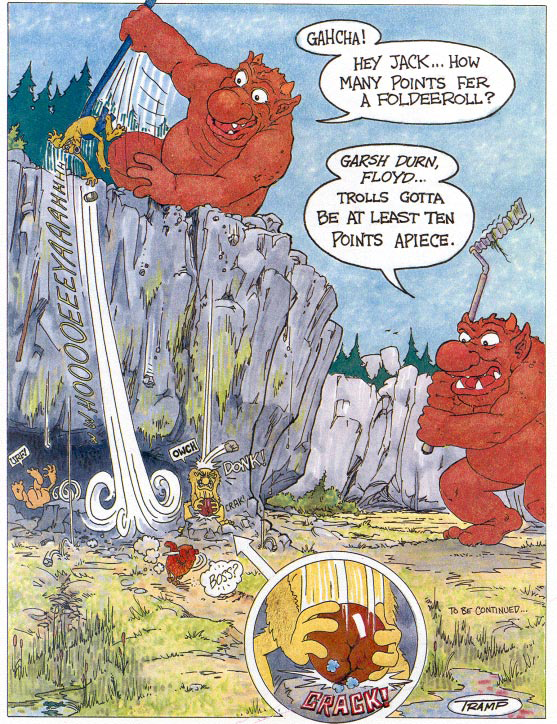 If the roll is lower than 18, it fails, with the consequences of the failure determined by the Treasure Keeper. If the task is one in which a character class is “skilled”, they add their level to the task check. What follow that is a list of possible tasks, and the ability score that modifies them, such as acrobatics modified by dexterity or swimming modified by strength. Several tasks rely on using tools. Trying to perform these tasks without the proper equipment should be done at a -2 penalty. The key thing to remember about tasks checks is that if it seems reasonable that a character can do it, there is no need to roll dice! Save the rolling of dice for difficult, dangerous or dramatic tasks. If your players would like more control over their character’s skills – and you want them to have that control – you can allow them to spend “skill points” on the various tasks in this chapter, each point spent giving them a +1 bonus to use those skills in play. When attempting a task, the player rolls 1d20, adds their skill bonus, ability modifier, bonuses for race or circumstances, and attempts to roll an 18 or higher to succeed. The number of skill points available to a character to spend at each level depends on the character’s class. Multi-class characters add their class’ skill point totals together. 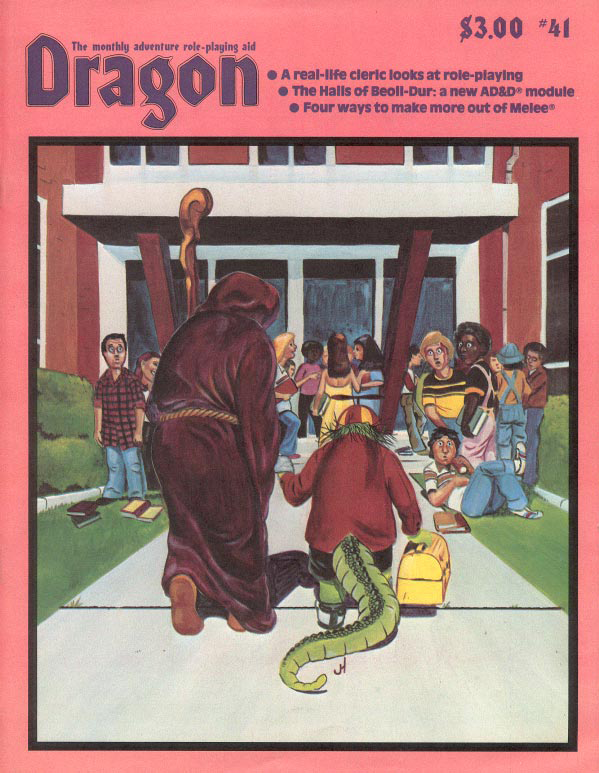 For those who instead prefer the way old editions handled such things, I have a system inspired partially by the rules for finding secret doors and partially on the original (pre-Gygax) thief class that has been making the rounds in the OD&D blogosphere of late. If characters attempt something at which they are untrained, roll 1d6. On a roll of 1, they succeed. If they are attempting something at which they excel due to their race, such as elves finding secret doors, roll 1d6. On a roll of 1 to 2, they succeed. If the task is more difficult than usual, the TK can rule that it must be rolled on a larger dice, usually d8 or d10. Note that this system does not take into account ability scores, which may disappoint some players. So, three options on handling skills in Blood & Treasure taking up about a page and quarter in the rule book. As a game master, I would probably let the players use the standard system, and would use the simplified system for monsters and NPCs. As always, I’d like to hear the opinions of the readership, especially those who are interested in Blood & Treasure. 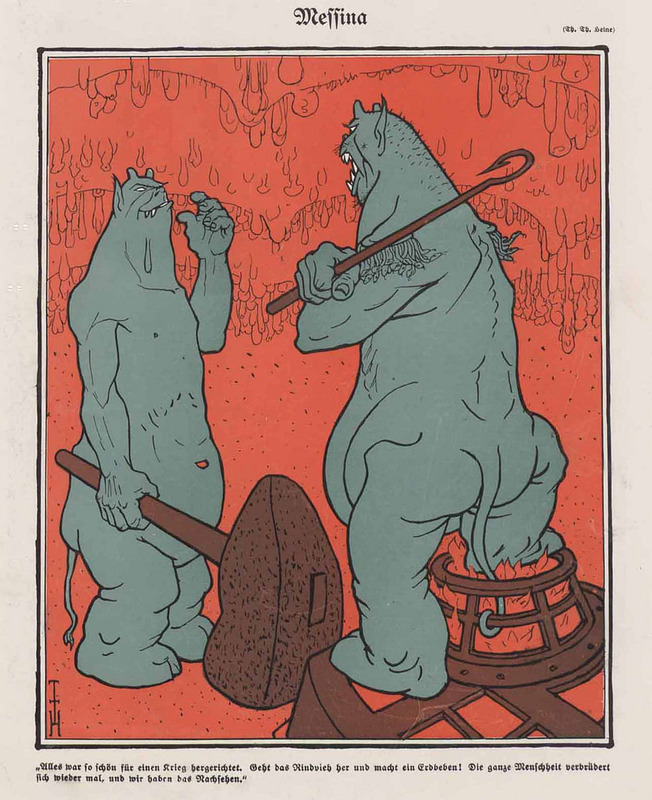 In working on my Blood & Treasure revision, I started thinking today about one of the aspects of monsters that often gets overlooked – intelligence. 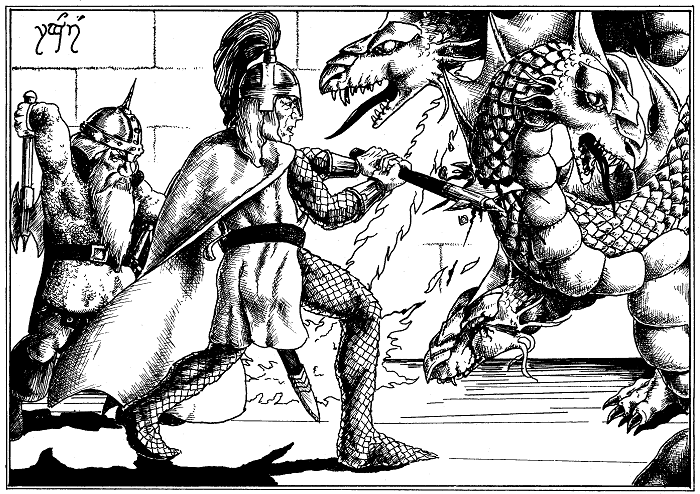 Starting in AD&D, monsters started getting intelligence ratings, and I think most referees note them and use them to help play a monster encounter, but I wonder whether they really take them into consideration. Let’s take Hell for an example. Many devils have a high intelligence rating, making them the equivalent of college graduates or even geniuses. A few are super geniuses – and we’re not talking Wile E. Coyote super geniuses, but the real deal – folks smarter than Einstein, Elon Musk and Tony Stark put together. They’re also lawful (evil, but lawful), which means they can work together. Imagine it – thousands of super geniuses working together to create a tech boom in the depths of Hell. There is some literary precedence for this idea. Milton, in Paradise Lost, noted that the rebel angels used engines of war – possible cannon – in their battle against the Heavenly Host. This was probably an early version of casting “modern” warfare, with its noise and smoke and fire, to our typical vision of Hell, or a Hellish landscape. We could go a step further, and let the devils in a campaign go full steampunk. What a surprise for high level adventurers, who are expecting the cover to a heavy metal album, and instead enter a nightmarish “World of Tomorrow” when they visit Hell – something more Kirby-esque than classical art. This would also mean that the allies of Hell on the Material Plane would have access to some interesting “magic items” – cannons of course, but also rocket packs, difference engines, steam-powered tanks, etc. This could make for an interesting campaign, as Hell embraces sorcery and super-science and begins equipping mad wizards and anti-clerics with steam-era technology to conquer the Material Plane, with the adventurers left to discover what this stuff is, how it works, where it comes from and, ultimately, how to stop it. Maybe they’ll need to engineer a rebellion in Hell – the low-order devils against their masters, like something from Metropolis. Or maybe they’ll need to ascend the Seven Heavens and petition the solars and planetars for help in storming the Hellmouth – thousands of aasimars and elves and dwarves brightly arrayed against an undead army that looks like it might have crawled out of the trenches of the First World War! It’s a bad sign when you start all of your blog posts with “I’m sorry I haven’t posted lately …”. Still, I’ve been a busy boy, so I have a good excuse. Here are my current RPG projects and a glimpse at what I would like to do moving forward, as well as a few RPG odds and ends mixed in to make this more than an advertisement. 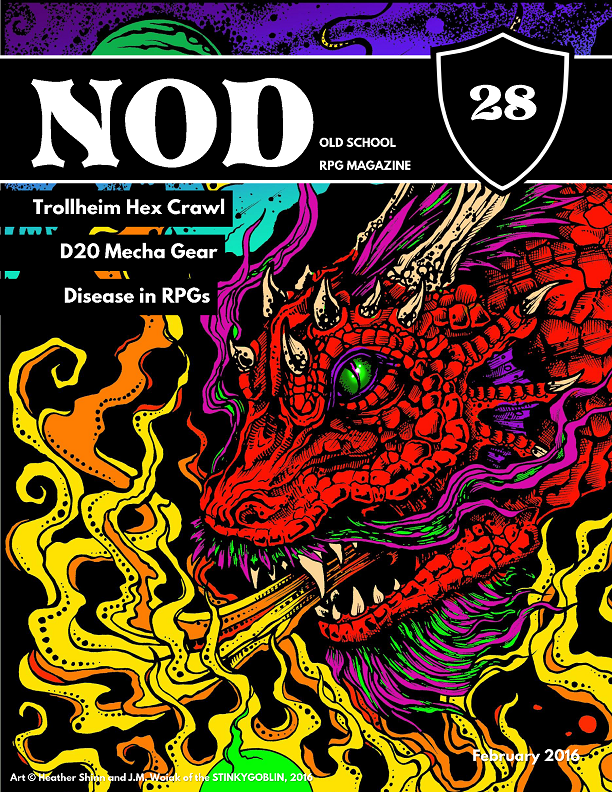 First and foremost – I’ve put NOD 28 out for sale today as a PDF! It’s going for $4.99 – 78 pages, with part one of the Trollheim Mountains hex crawl (trolls, pseudo-Russians, elemental folk, a crazed demigod, etc. 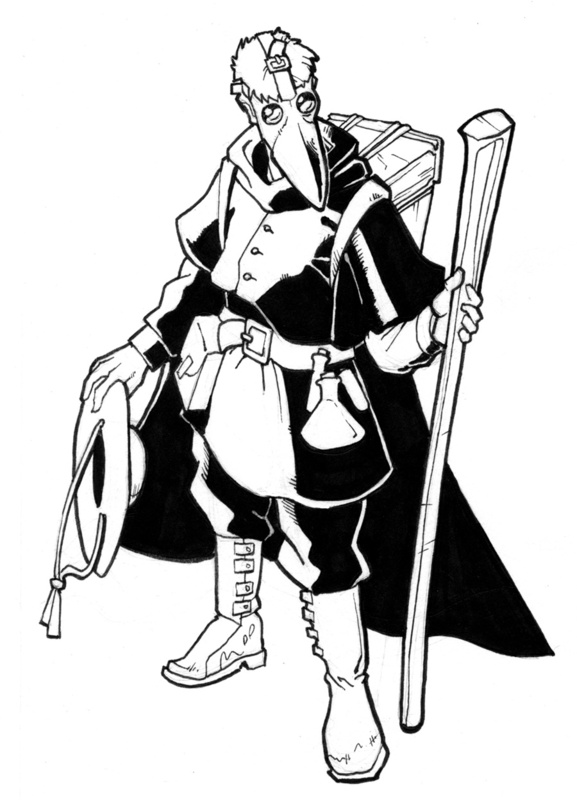 ), a Swiss mercenary character class, new rules for handling disease in RPG’s and a campaign idea for a “World of Atlantis” game drawing from Theosophy’s notion of “root races”. Tons of fun for $4.99. GET IT HERE or HERE. I’m about 80% complete with editing and laying out the new B&T Player’s Tome, and about 35% complete with the Treasure Keeper’s Tome. The 2nd edition will not be a major departure from the first, but I’ve made some adjustments to saving throw values, XP requirements, I’ve tried to give the sorcerer some personality and make the ranger the cool cat I remember from youth, streamline any rules that could use streamlining, etc. The goal is still RULES LITE – OPTIONS HEAVY. Most of the work I’ve done is concerned with improving the layout and incorporating the first edition errata. I’ve also commissioned new covers from David Williams, which are being colored now. Here’s a sneak peek – half of this image will be the Player’s Tome, the other half will be the TK’s Tome. 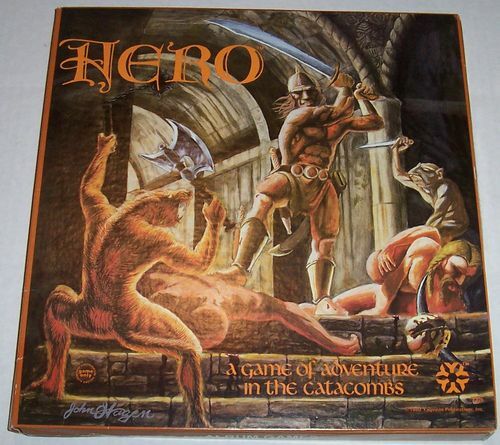 If anybody has an ingenious old school idea they think would improve fantasy gaming, let me know and I’ll see if I can’t incorporate it into the rules. Goatmen live in hidden valleys, deep within forbidding mountains. Half mad, chaos flows through their veins. When the moon is full, they descend into the lowlands, seeking out people to torment or torture. Goatman, Medium Monstrous Humanoid: HD 1; AC 16; ATK 1 slam (1d6); MV 30; SV F15 R13 W14; XP 250 (CL3); Special-Auras. Goatmen cause fear (as the spell) to all within 10′ of them. 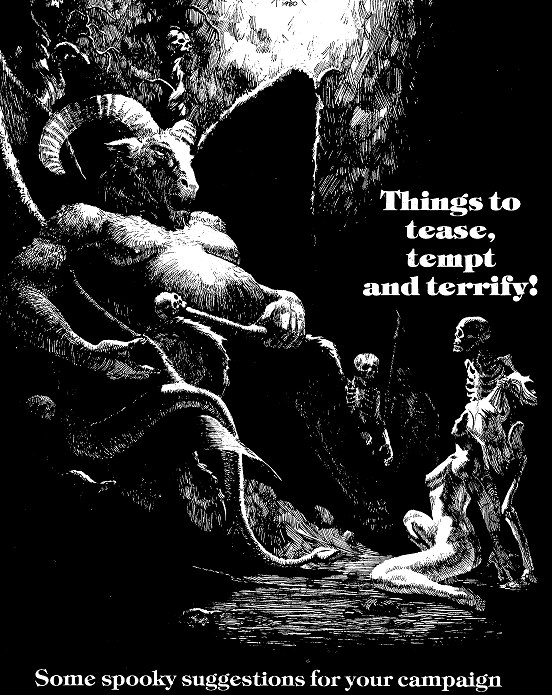 Each time a person succumbs to this fear, the goatman grows larger, gaining 1 hit dice (and all that goes with it). At 6 HD, they become large creatures and their aura changes to one of madness (save or go temporarily mad). Each person that goes mad causes the goatman to gain another HD. At 12 HD, the goatman becomes huge, and the aura becomes one of death. All within 10′ of the beast must save or die. Each creature that dies increases the goatman’s hit dice by 1. At 18 HD, the goatman explodes into shadow and ceases to exist. The land where he explodes becomes permanently blighted and haunted by the souls of those who died. I’m further along with the MM! revision than B&T. The book is laid out, the rules tinkered with, and now I just need to give it a thorough editing. 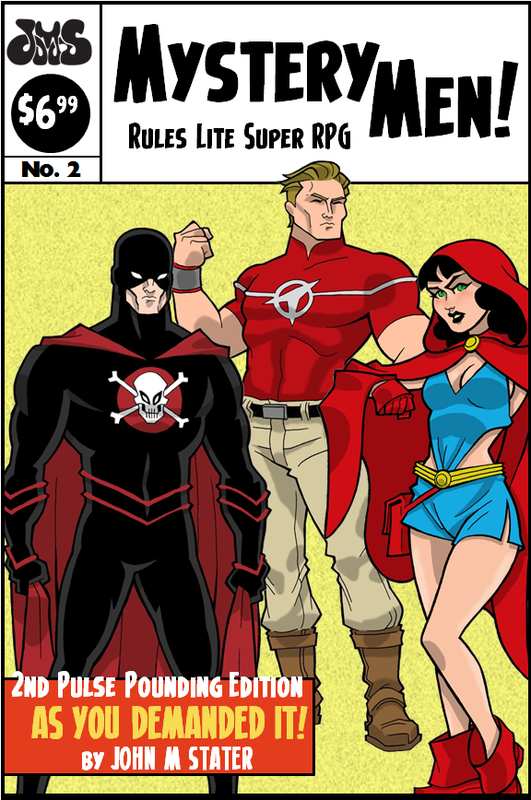 This version will still have the sample Shore City setting and the sample adventure, but will also include several write-ups of heroes and villains. One enemy helps you despite himself. When this spell is cast, one enemy within 10′ chosen at random must pass a Will save or become your unwitting, unwilling ally. Every move the creature makes has the possibility of helping you. For each action, roll 1d6. 1-2. 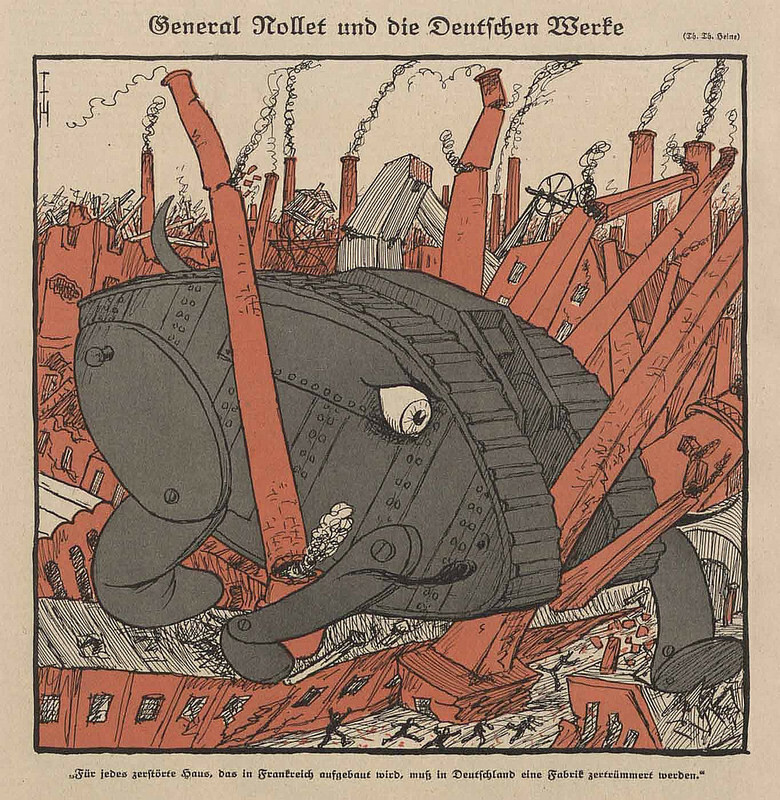 The creature’s action proceeds as normal. 3-5. The creature’s action proceeds as normal, but has a side effect useful to you. 6. The creature’s action is twisted to your purpose entirely. Help, in this case, is up to the referee, but would include things like the monster making a move, but also accidentally tripping or running into one his allies, the monster making an attack, but accidentally attacking an ally as well, etc. 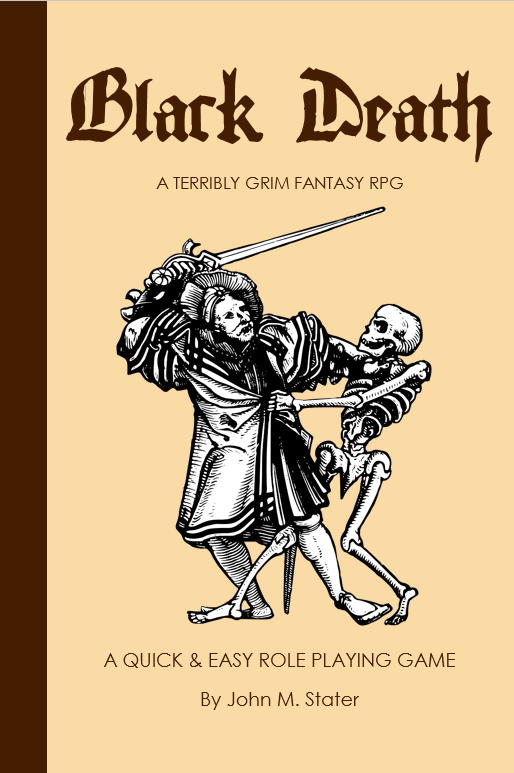 The latest Quick and Easy RPG is Black Plague, which really just needs some editing and it’s ready to go. This one is set in the era of Europe’s religious wars (mostly the Hundred Years War), and is intended to be grim and gritty – more survive than thrive. This Q&E is a bit heftier than past editions, due to containing a bit more setting info and some rules for disease and damnation. A leaf swarm is a swarm of vicious green insects. They descend on a tree, strip it of leaves, and then take their place. When a creature nears the tree, the leaf swarm strikes, surprising on a roll of 1-4 on 1d6. The monster’s stings cause blindness. The first save a creature fails blurs their vision (-2 to hit and damage), the second failed save blinds them for 1 minute, and the third blinds them permanently. Leaf Swarm, Tiny Vermin: HD 4; AC 13; ATK 1 swarm (1d3 + special); MV Fly 60; SV F14 R13 W14; XP 400 (CL5); Special-Blindness. What I’d like to start doing next is producing more adventure material for the games I’ve written. No more games for me – just fun, supplemental material. 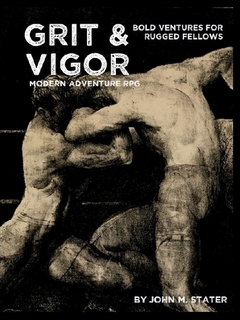 For GRIT & VIGOR I want to do setting books that cover different eras – the historical events that lend themselves towards adventure, the equipment, the personalities. Each book would also have an adventure for that era. These would be trade paperbacks, probably 40 to 60 pages. For MYSTERY MEN! I’d like to do some short books of heroes and villains, also accompanied by an adventure or two. They might be themed, or they might just be whatever tickles my fancy. These would maybe run 20 to 30 pages, trade paperback. For BLOOD & TREASURE I’d like to do some adventures, with a few new monsters, new spells, etc. Again, trade paperback, probably 30 to 40 pages. I also want to start writing supplements called THE LAND OF NOD that would provide hex crawls, mini-adventures and other setting material. These would probably also be trade paperbacks, maybe in a landscape format. Page count here would probably be around 120 pages. The first step would be to collect and revise the old NOD hex crawls. I still have a revision of Space Princess and Pars Fortuna slated for the second half of this year, and I have more Bloody Basics I would like to make. So – that’s what’s on my agenda for 2016. We’ll see how far I get. Hopefully, as the revisions and editing slows down I’ll have more time for blogging. I have tons of ideas that need to be fleshed out, and God willing I’ll start that fleshing process as the year wears on.